PPC DIY or: can everybody do it? 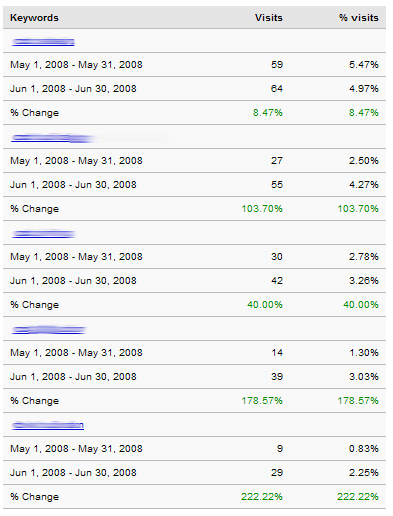 The following screenshots will show you how small changes we implemented have affected a client's campaign performance from May 2008 to June 2008. When we took over the account at the end of May 2008, we were surprised how unorganized it was — it was a real mess. It is a fairly small account, focusing on a tiny group of niche products and isn't expected to have tens of thousands of visitors per day, yet some AdGroups had up to 300(!) keywords in them, and therefore perforance was poor to say the least. But what stunned us the most was that every single ad was the same. The account had different AdGroups with hundreds of (unrelated) keywords stuffed inside, and every single ad said the exact same boring thing. Everything about the account was in desperate need of a major overhaul. But the owner of the website didn't want us to make all the changes we recommended. He was afraid the changes might have a negative affect on his campaign, and that he might lose what was left. Now while this might strike you as odd, it's not that uncommon. Especially since this client had set up and maintained his account himself, he had hand-picked all the keywords, created all the AdGroups and had written the ad. So we were only allowed to make minor adjustments to start with, and only after we could prove the initial changes were successful would he allow us to do more. The biggest contemplation was: Where to start and what to change first? Without doing the radical overhaul and starting over completely? After brainstorming with the client he agreed he wasn't that great a copywriter and that his ad might not be the very best ad in the world; so we agreed to modify the text of the ad to make it more focused and integrate at least the top performing keywords, create at least 2 ads for every AdGroup so we could split-test them and promised not to touch anything else. And we did. We carefully created new ads, integrated the top keywords, set up A/B split tests and (as hard as it was) didn't touch anything else. Well, except for stumbling upon his site a couple of times. 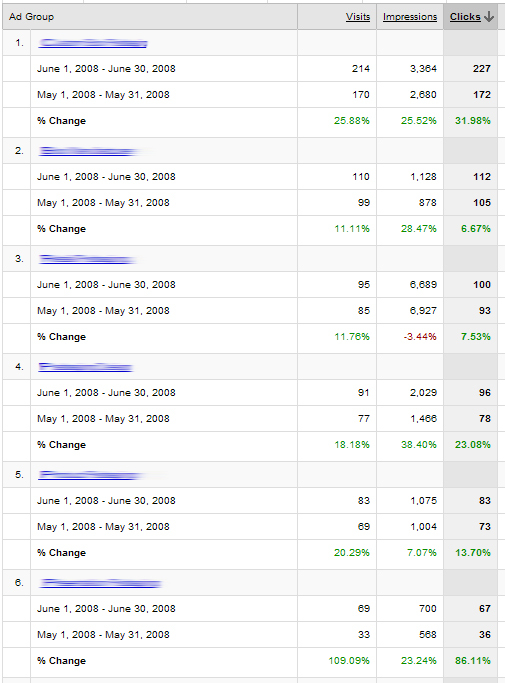 We received 157.14% more visitors overall via the new Google ads. 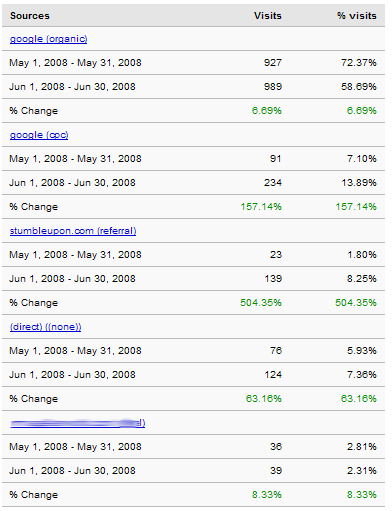 Between 3.02% and 222.22% more visitors by keyword. The number of visitors by AdGroups grew between 11.01% and 109.09%. The overall CTR still isn't that great, but this was expected since we were not allowed to mess with the existing keywords. And lots of poorly performing keywords negatively affect your CTR (We were not even allowed to delete the keywords Google had already marked as inactive). See for yourself, these are actual screenshots.